phlegm: coming soon to a shop near you. coming soon to a shop near you. I've been away in the isle of man having a rest by the sea the past week. 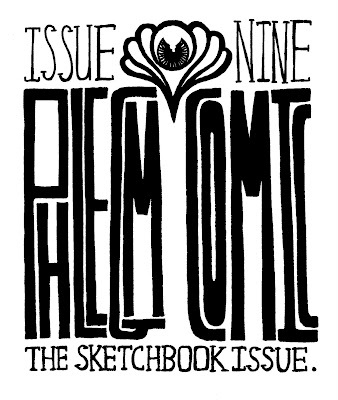 Issue nine is away at the printer at last...all i have to do now is collect the covers next week and then screen print the writing on the front. The image below is the part i'll be printing. Neon pink on grey. Hopefully it should all be ready and in the shops in about two weeks. Other than that all I'm really doing at the moment is working on cluster. I'm about half way through it now. I've also took a few days out to draw some of issue ten...but I'll do a post about that next week.